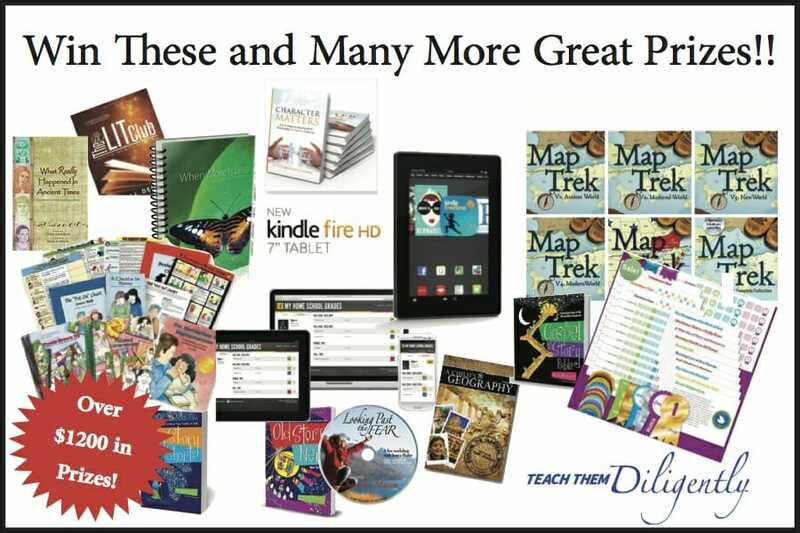 Author Karen DeBeusPosted on May 27, 2014 Categories Character, Extra Fun!Leave a comment on Teach Them Diligently Facebook Party and HUGE Giveaways! With the National Teach Them Diligently Conference in Washington D.C. right around the corner, don’t miss out on this chance to SAVE on your registration! Right now you can save $5 on a Teach Them Diligently registration by using the coupon code SIMPLYLIVING. Teach Them Diligently is organizing a National Homeschool and Parental Rights Convention in May of 2014 at the Gaylord National in Washington, D.C.. The future promise of our country resides in our homes and the families – not the government. In the wake of Common Core, the liberal agenda, and challenges to our parental rights all around us, Teach Them Diligently has decided to organize a homeschool convention event that is meant to rally Christian families across the country for the Biblical foundation for raising our children. It is the parent that is called by God to disciple his children, not the government. Our children are a heritage unto us as parents, and God has given us the great privilege of raising them for the Lord. The government should not be a hindrance to our Biblical role as parents. Do not miss this event! In the coming months families can expect more announcements regarding national partners for this national homeschool convention event, as well as curriculum that will help in bringing Teach Them Diligently National Convention into your homeschool. This will be a great event to plan a vacation or field trip around. At the Gaylord National, you can expect much of the same Gospel and family discipleship focus that is at our other events, but we will add a National Rally that you will not want to miss! It is important that we see each of you in Washington, D.C. May 15th-17th, 2014. Register for Teach Them Diligently and Win Your Hotel Room! Win Hotel Accommodations Through The TTD Refer-A-Friend Program!! For a limited time, we’re offering an even bigger prize in the Refer-A-Friend program. The family with the most Refer-A-Friend points will also win HOTEL ACCOMMODATIONS AT THEIR CHOICE OF TEACH THEM DILIGENTLY LOCATIONS! That prize can be used in DC or Dallas this year– or at the Teach Them Diligently location of your choice in 2015! If you have already attended Teach Them Diligently this year, you can still participate! Invite your friends to join us at the National Convention in Washington, DC May 15-17 or in Dallas, TX June 26-28. You can always choose to join us there, staying as our guest, or use your hotel accommodations for your choice of TTD Event next year! Head over to Teach Them Diligently for more info! Author Karen DeBeusPosted on April 10, 2014 April 10, 2014 Categories Encouragement, Extra Fun!, Field TripsLeave a comment on Register for Teach Them Diligently and Win Your Hotel Room! Head over and grab the latest issue of From Scratch Magazine for FREE! This is a cute idea. Faith Gateway has instructions to make a Valentine clay necklace with a FREE Printable! Head over now to visit Faith Gateway! This is very cool. What’s in the Bible has a great post The Sochi Winter Olympics 2014: Five Questions to Engage Your Kids– head over and see how you can tie in the Bible with the Olympics! Here is Day 3 of the Valentine’s Day Heart Lego Project from Nephilim of the Remnants. Head over to check it out! So awesome! An online conference for homeschoolers from the comfort of your home. Come and join me in your favorite cozy spot, curled up with your favorite cozy drink, and get ready to be encouraged! iHomeschool Studio is coming this February! I love online conferences because you can listen at your leisure from home, and be encouraged by some of the finest veteran, in-the-trenches, and expert homeschoolers out there! iHomeschool Studio sessions range from organizing and frugal homeschooling to personality and learning styles. We will offer help with intense kids, high school students, and lazy kids. Although we cover academics like science, music, and geography, we also delve into matters of the heart as we help you instill a love of Christian missions in your children and build positive character traits all while maintaining the spark in your marriage. There is something for everyone! All of the workshops are delivered via GoToWebinar over the Internet, so all you need to participate is a computer with Internet access and speakers (or headphones). You can also access the sessions with the GoToMeeting app on your iPhone, iPad, or Android device. Head over to iHomeschool Studio now and register! Tickets are on sale NOW! Hope to “see” you there! I LOVE this idea from Not Consumed. A Valentine’s Countdown with 14 Days of Love. So cute and such a great way to use scripture each day. Head over to Not Consumed to get your free download!